Tea is one of the most well-known antiviral sore-throat soothers. There's a reason your mom used to make you drink tea when you were sick as a kid. The warm beverage helps soothe sore throats and boasts antibacterial properties that can help kick colds quickly. However, not all teas are created equal. Some teas are better than others when it comes to boosting immune health and eliminating harmful pathogens. There are both herbal teas and true teas that can help soothe cold and flu symptoms and get you back on your feet. When flu season hits, be prepared with delicious loose leaf teas that can help you feel better faster. Here are some of the best teas for fighting a cold. Need to feel better fast? 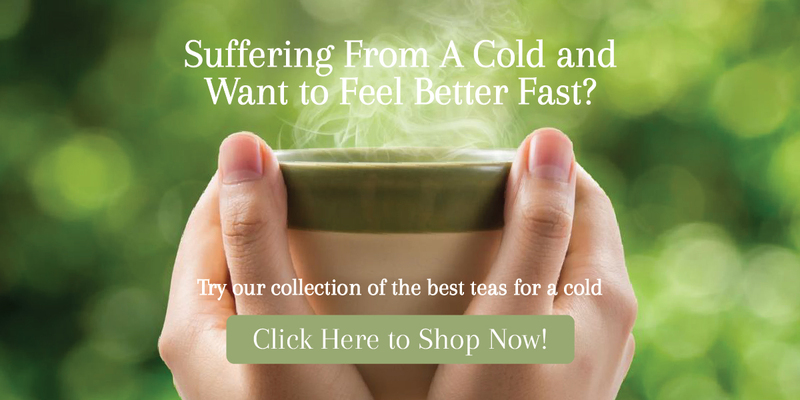 Check out our collection of the best teas for cold and flu right here. 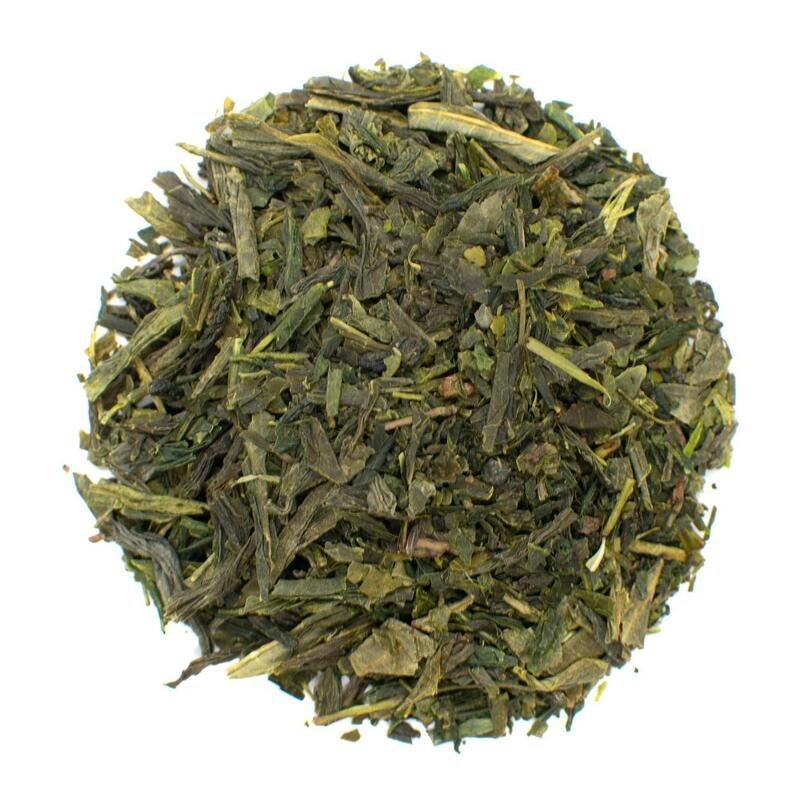 The sweet flavor of our Organic Sencha Fuji Green Tea helps soothe sore throats and boost immune health. Green tea is widely recognized as one of the healthiest teas. Green tea is made from the leaves of the Camellia sinensis plant and features a slightly sweet, herbaceous and earthy flavor. It's packed with antioxidants and tea polyphenols, including EGCG that can help boost overall health. These antioxidants help eliminate harmful bacteria and free radicals that can make you susceptible to the common cold, flu, and auto-immune diseases (1). Green tea also boasts anti-inflammatory properties that help soothe inflammation and irritation that can cause a sore throat. It can also help lessen inflammation in the chest that causes coughing and chest congestion. The proper method of brewing green tea involves lower temperatures than other teas. Heat water between 175 and 185 degrees Fahrenheit. Add loose leaf green tea to a tea strainer and let steep for 3 to 5 minutes. Remove the tea leaves and add a dash of raw honey to increase soothing properties. 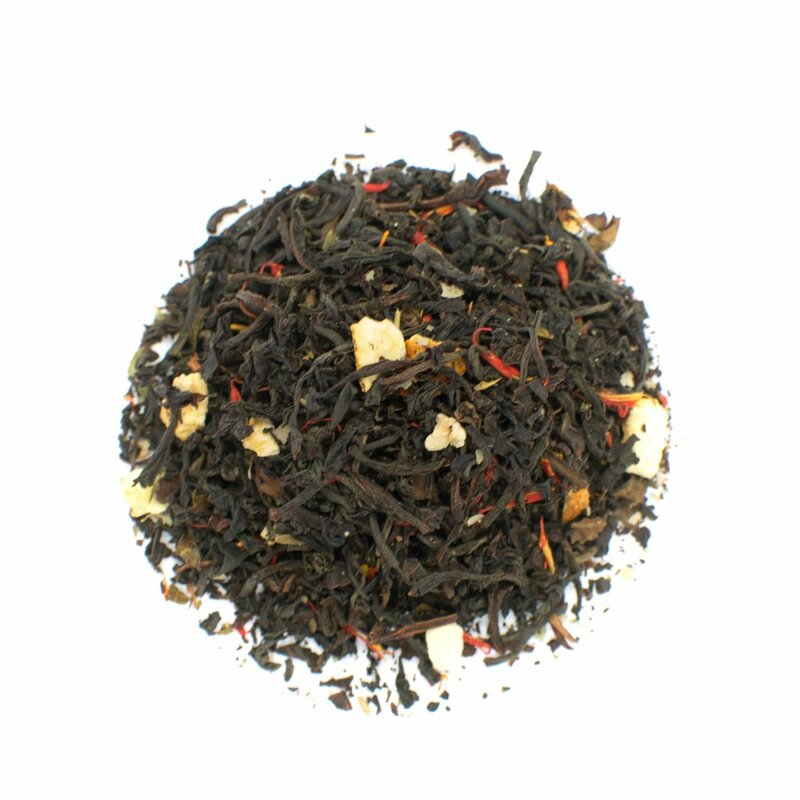 Our Blood Orange Black Tea has a touch of vitamin C to support your immune system in fighting off the cold or flu. The health benefits of black tea range from giving you an extra kick of energy to alleviating aches and pains. This flu-fighting tea can help reduce inflammation and lessen the body aches that come along with tough colds and cases of flu. Studies show that daily use of true teas can help decrease influenza rates and minimize or shorten the duration of cold symptoms (2). Black tea contains catechins that help to eliminate pathogenic bacteria to prevent you from getting sick in the first place. A hot cup of tea can help soothe sore throats and the aroma may help to open up airways and reduce coughing. Brew black tea using boiling water between 200 and 212 degrees Fahrenheit. Use two to three grams of loose leaf tea for every eight ounces of water. Steep the tea leaves for three to five minutes. The longer the tea steeps, the stronger it will taste. Add a cinnamon stick for flavor and to boost the anti-inflammatory properties of black tea. Our Pai Mu Tan White Tea is a premium white tea that may reduce body ache and soothe a sore throat. White tea is the most delicate of the true teas. It offers a mild flavor with sweet and floral notes. The leaves are the most minimally processed of the true teas, making it a natural choice for sick people suffering from the cold or flu. Like green tea and black tea, white tea contains antioxidants and compounds that help fight off cold symptoms. It's packed with tea catechins and amino acids such as l-theanine, which help to prevent the replication of harmful pathogens (3). 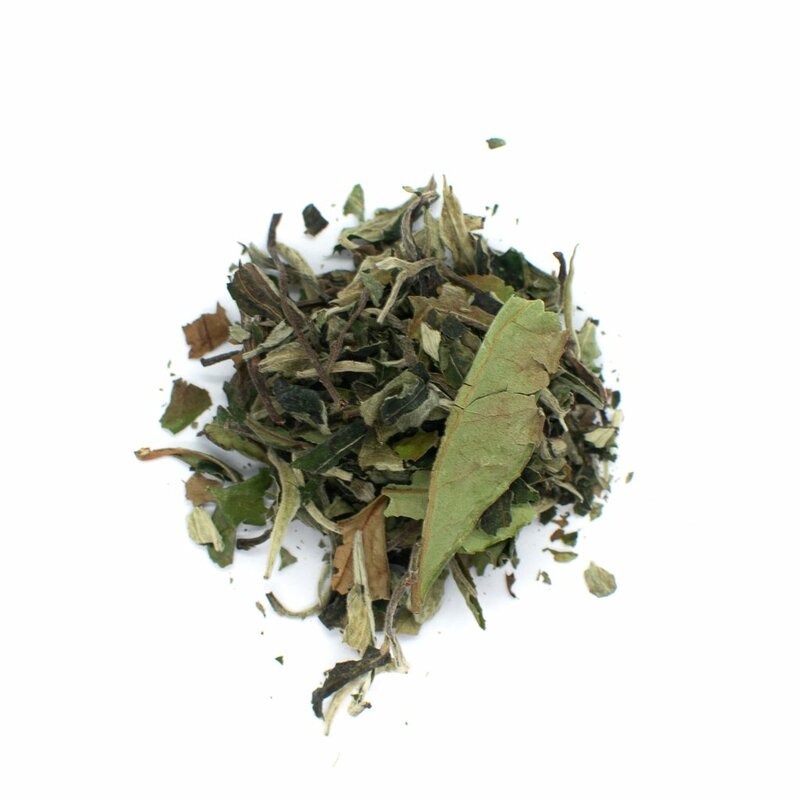 White tea has a delicate flavor profile that should only be brewed using hot water. Boiling water can ruin the tea's flavor profile. The proper way to brew white tea is to use water that is between 150 and 170 degrees Fahrenheit. Our Thai Ginger Tea can help reduce feelings of nausea caused by the flu. Ginger root tea is a healthy elixir that can kick the cold and flu fast. It's one of the most popular natural remedies thanks to its deliciously spicy flavor and potent health benefits. The spicy kick of the tea helps to open up the sinuses and reduce congestion. Ginger tea is also frequently used to treat nausea and vomiting caused by colds as well as motion sickness. 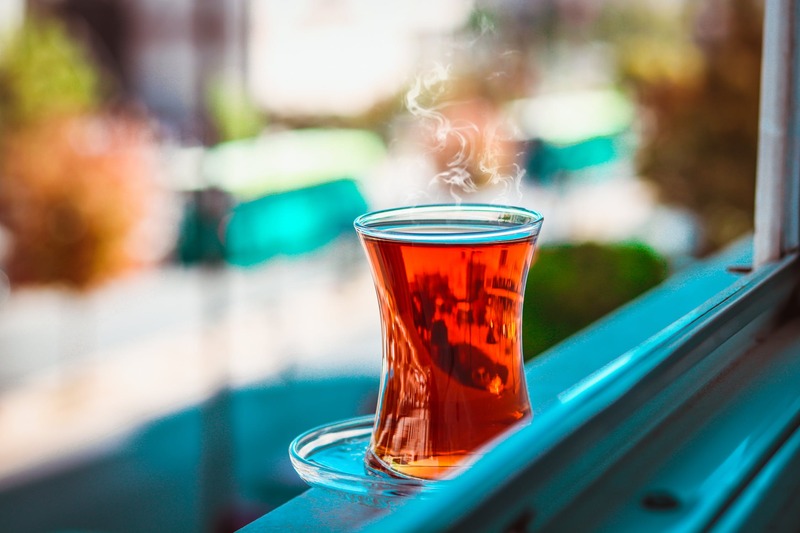 Studies show that ginger tea is more effective than Dramamine and can alleviate nausea and vomiting associated with a variety of conditions form the common cold to chemotherapy and morning sickness (4). Brew a cup of spicy ginger tea using a 1-inch slice of fresh ginger. Add boiling water and steep for five to ten minutes. Add a dash of honey and a slice of lemon to boost the immune supporting properties. 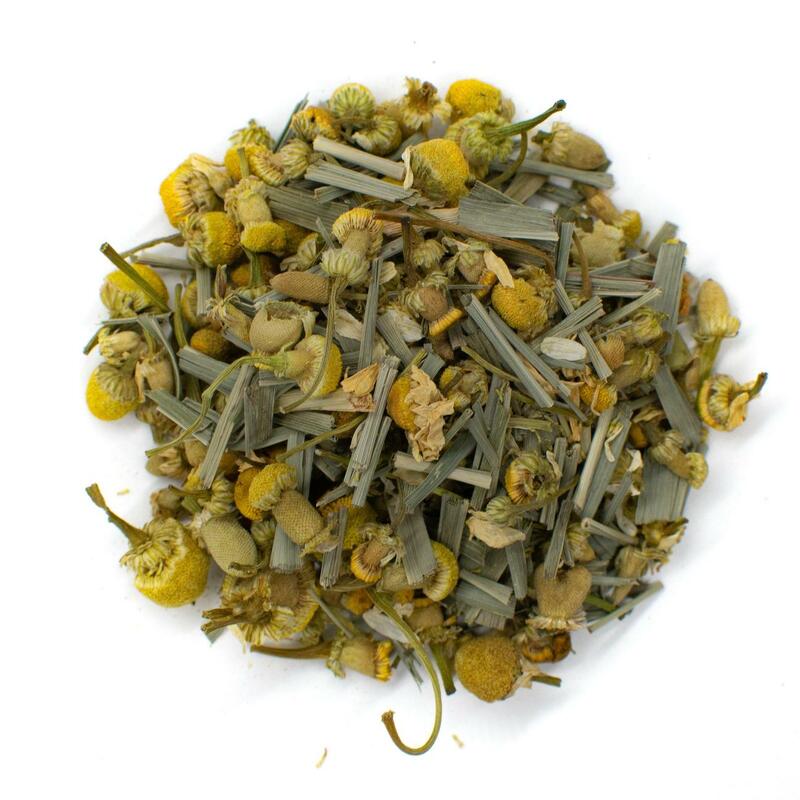 Our Chamomile Lemongrass Tea combines the soothing nature of chamomile with the immune-boosting properties of lemongrass to kick colds fast. Teas such as lemon verbena tea, lemon balm tea, and lemongrass tea all have high concentrations of vitamin C. Research shows that vitamin C can help boost the immune system and kick colds faster (5). To reap these benefits, you'll need to increase your intake of vitamin C during the cold or flu episode. Brew several cups of lemon-based teas and consume throughout the day to support immune health. Most lemon herbal teas should steep for five to ten minutes. Brew using boiling water for the best flavor. Peppermint is one of the most common ingredients in cough syrups and cough drops. The fresh and invigorating aroma helps to open up congested airways and can improve breathing. Studies also show that peppermint can help reduce pain symptoms and decrease inflammation (6). Drinking peppermint tea can help to soothe body aches caused by colds and cases of flu and may loosen congestion, making it easier to breathe. Peppermint tea also has virucidal properties that can shorten the length of the cold or flu. Compounds within peppermint tea help to prevent pathogens from replicating and stops infections from spreading. Drink a cup of peppermint tea to help soothe a sore throat and decrease inflammation. Simply use boiling water and steep for five to 10 minutes. You can also do a nasal drip using peppermint tea. Bring water to a rapid boil on the stove and add in peppermint leaves. Turn the heat down to medium and simmer for five minutes. Drape a towel over your head and lean your face over the hot pot of peppermint tea. Inhale deeply for five minutes, focusing on clearing your stuffy or runny nose. The elderberry bush belongs to the same family as the honeysuckle. It features a delicate floral flavor that is sweet and aromatic. The berries are packed with flavonoids and antioxidants that can boost immune health. Studies show that elderberry supplementation can help decrease the severity of cold symptoms and lessen their duration (7). This tea should only be brewed using the berries or white flowers of the plant because other plant parts—including the leaves—are toxic to humans. To make fresh elderberry tea, add 8 to 12 berries to boiling water and then simmer for 15 minutes. Use a strainer to remove the berries and pour the tea concentrate into tea cups. To make elderflower tea, add a small handful of fresh elderflowers to a pot of boiling water. Turn heat to low and simmer for 15 minutes. Strain the flowers out and serve the tea with a dash of raw honey. 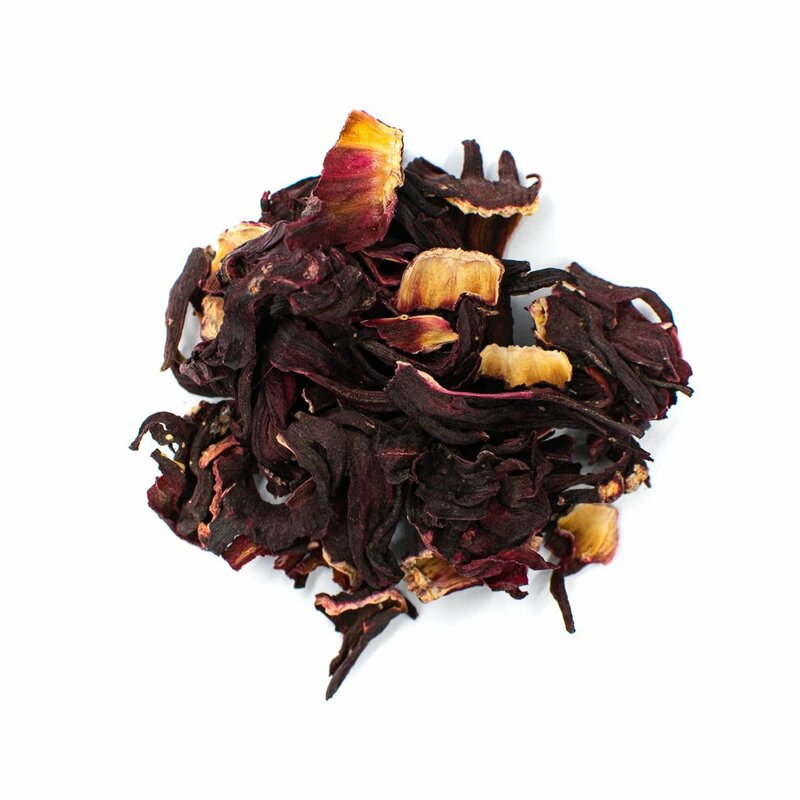 Our Egyptian Hibiscus Petal Tea gives you the vitamin C you need to kick your cold or flu. Hibiscus tea is another herbal tea that is packed with vitamin C. In fact, you need to drink just three cups of hibiscus tea to reach your recommended daily allotment of vitamin C. As an herbal tea, it's naturally caffeine free so you can drink it all day long without worrying about ruining your sleep patterns. Brew up this floral tea and get some rest while you recover from the cold or flu. Gather eight to ten fresh hibiscus flowers or use one teaspoon of loose leaf tea. Bring water to a boil and add in the flower petals. Steep the tea for two to five minutes. Strain the flowers and pour the tea mixture into tea cups. Add a slice of lemon to boost your vitamin C intake. 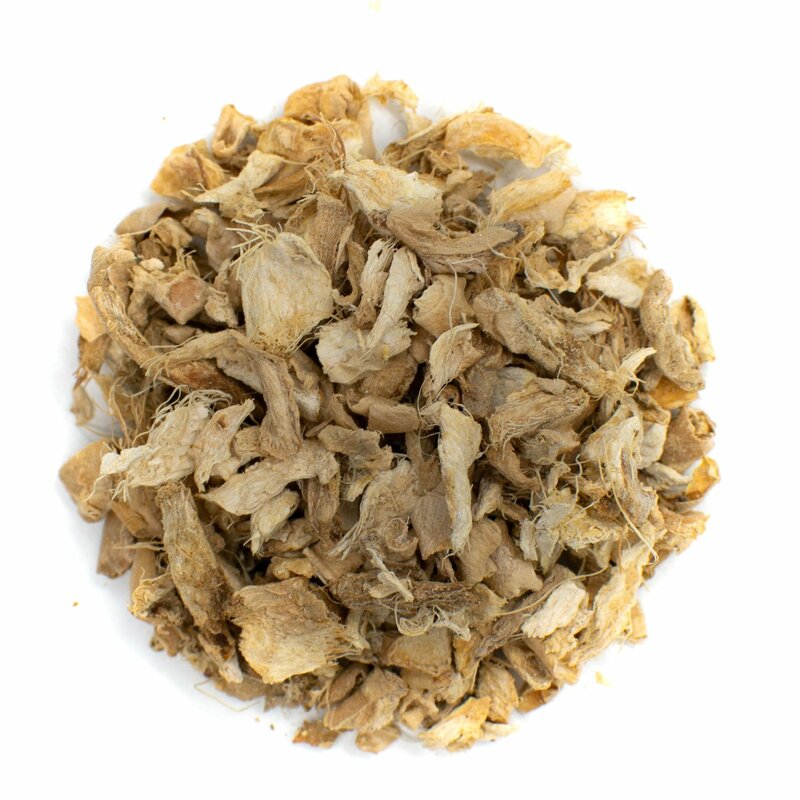 Licorice root tea boasts antiviral and antibacterial properties that can help fight off colds and flu cases. It's commonly used in traditional Chinese medicine and contains flavonoids that boost immune health. Studies show that licorice root can prevent the replication of harmful pathogens and even induce death in certain viral and antibacterial infections (8). Use one teaspoon of dried licorice for every eight ounces of water. Bring water to boil in a small saucepan and add the licorice root tot eh hot water. Steep for five minutes before removing the licorice root. Add a dash of cinnamon, sugar, or lemon to lessen the potent flavor of the tea if desired. Nettle tea is made from the spiny plant that causes havoc for hikers and bikers alike. While the live plant can cause a burning and itching sensation if the delicate hairs are touched, the tea can help soothe and alleviate pain. Nettle also contains vitamin C and carotene, which can boost immune health (9). Use one cup of nettle leaves for every two cups of water. Bring water to a boil, remove from heat and add the nettle leaves. Steep for five to seven minutes before straining and serving in teacups. If the flavor is too bold, add a dash of honey to sweeten. 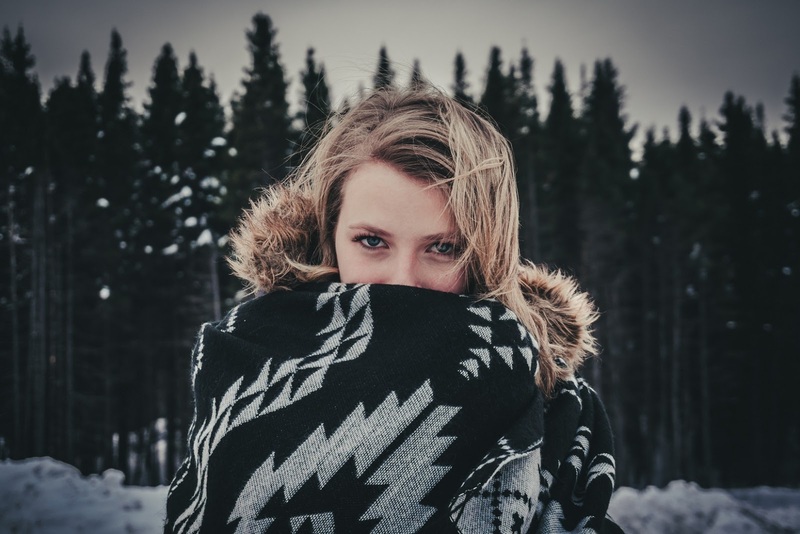 Make a tea blend at home using several of these cold-fighting teas or brew them individually to treat your specific symptoms. Tea drinkers are sure to find an herbal remedy on this list that helps to soothe the symptoms of a cold or flu. 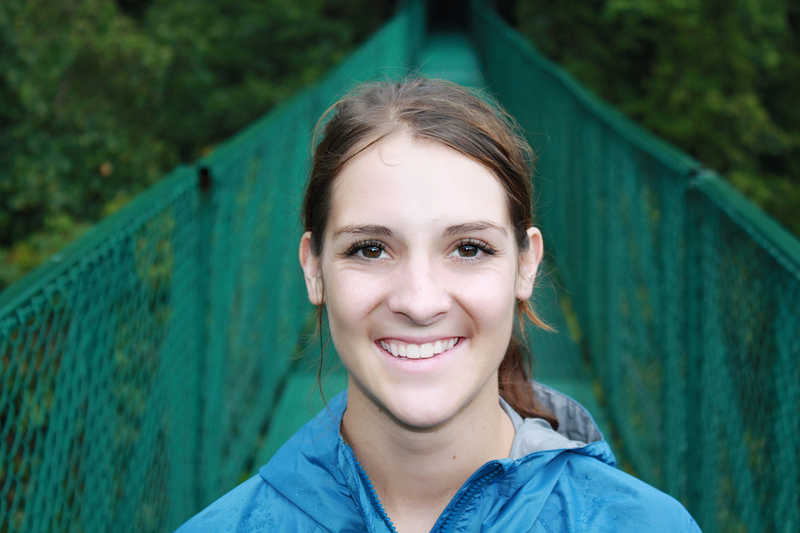 Stay healthy by eating right, exercising regularly, and getting the flu shot. If you do fall ill, brew up a cup of tea to help yourself feel better faster.